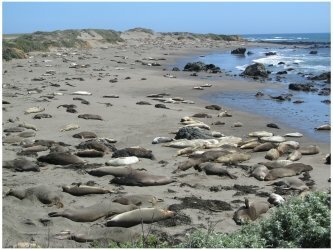 Pacific Coast Highway Travel recommends some of the top wildlife spots along the California coast. The Pacific Coast Highway is excellent for wildlife watching, with everything from whales, seals and sea lions to... zebra! Zebra? Yes, there's a herd of zebra at Hearst Castle which can be quite a surprise if you happen to spot them. You can see plenty if you simply drive the highway, but you'll see even more if you're prepared to venture inland a little, or get out onto the ocean on a whale watching cruise. You'll see more than just whales, although as always with wildlife there are no guarantees. In addition to finding great spots where you can see wildlife actually in the wild, there are plenty of good places where you can see wildlife in captivity, often being cared for after injuries. If you ad in major places like the San Diego Zoo, the Pacific Coast Highway is a great drive for lovers of wildlife. Dana Point is the place where the Pacific Coast Highway officially starts (or ends) and it's noted for its Festival of Whales, so definitely a good place for whale watching. 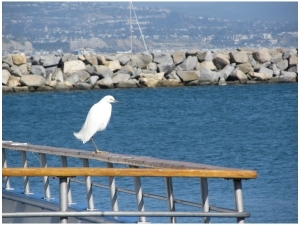 See our Dana Point page. In San Pedro to the west of Long Beach, this center cares for and rehabilitates distressed marine creatures. These include the many sea lion pups who get lost, hungry or disoriented while they wait onshore for their mothers, who have to go out a long way to sea in search of food. Sometimes the mothers meet with accidents, leaving no-one to care for the pups. 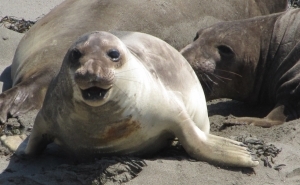 You'll probably also see elephant seal pups here too. As well as its fabulous aquarium (a must-see), head to Old Fisherman's Wharf to watch the sea lions around there. 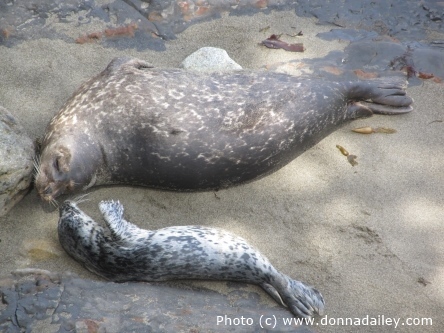 This is another of our favorite wildlife spots along the whole California coast, and it's a great little town too! Walk or drive from the town out to the big rock around the bay and you're sure to see sea otters swimming around in the water. They're fascinating to watch, feeding themselves or wrapping themselves in seaweed. There are lots of cheeky ground squirrels too, and peregrine falcons nest on the rock. This is also a good place from which to take a whale watching cruise. This place inland from Laguna Beach (https://www.pacificmmc.org/) cares for any orphaned or injured sea lions found anywhere along the Orange County coast, and do an amazing job, also looking after seals and elephant seals too. One of our favourite places along the entire California coast is this beach near Hearst Castle. We stop every time we drive by, and always stay far longer than we intend to. See our separate page here. We were staying in Monterey one time when someone told us we had to take a walk around the Point Lobos State Reserve. We're so glad we did, and you can read why here. 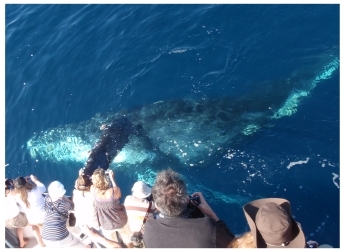 This top experience deserves a page to itself, of course, where you'll also find links to our accounts of the whale watching cruises we've done. Click here. 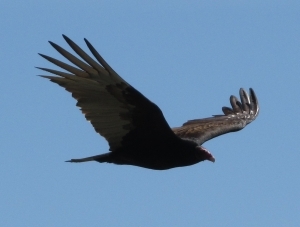 In Sylmar in the San Fernando Valley of northern Los Angeles is the Wildlife Learning Center. This wonderful zoological park cares for abandoned, rescued, displaced, and zoo-born animals, with a view to educating visitors about their behaviour. There are over 100 creatures there including foxes, lynx, a blind screech owl called Zeus (watch the video), and a sloth called Lola who's appeared on the Ellen DeGeneres Show with Kristen Bell.